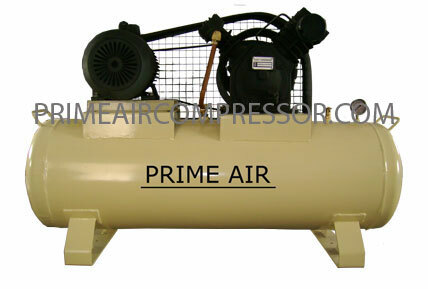 Single Stage Air Compressors : Air Compressors & Parts, Ingersoll Rand, Altas Copco, Elgi..
Prime Corporation is single stage air compressor manufacturers. We are manufacturing following models SS-21, SS-23, SS-25, SS-30 Ingersoll Rand equivalent models SS-1 (SS1), SS-2 (SS2), SS-3 (SS3), SS-10 (SS10). Single stage air compressors has more delivered air (cfm) providing the power to do the job right and in less time, 100% continuous duty even for toughest applications, 125 PSIG maximum operating pressure. Durable cast iron construction, Industrial quality design, Precision engineered quality componenets.